Another credit downgrade for the Chicago Board of Education’s debt demonstrates the urgency of immediate fiscal reforms. The nation’s three largest credit rating agencies agree: Chicago Public Schools’, or CPS’, credit is junk. On Aug. 14, Standard & Poor’s downgraded the debt of the Chicago Board of Education, which governs CPS, to BB from BBB. With this action, S&P has joined Moody’s Investors Service and Fitch Ratings in declaring CPS bonds noninvestment grade, or “junk.” S&P also assigned a negative outlook to CPS, signaling that another downgrade is likely. In its report, S&P cited the same concerns as Moody’s and Fitch: CPS’ massive debt, its 2016 budget deficit and its continued borrowing to pay for short-term expenses. CPS’ budget and debt crises are emblematic of Chicago’s fiscal problems on the whole. 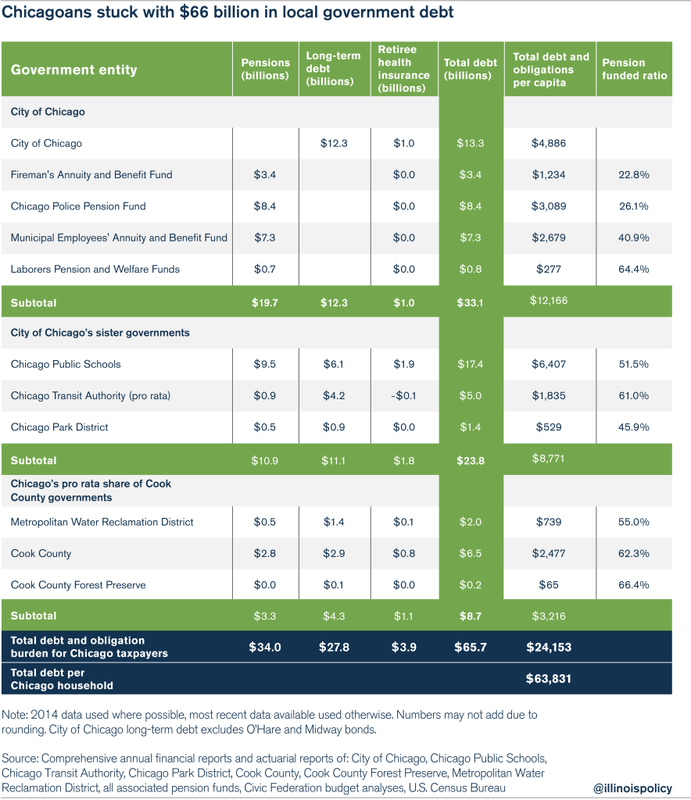 Chicagoans are stuck with billions of dollars in pension, health care and long-term debt at the local-government level. Each Chicago household is on the hook for $63,800 in local-government debt, which includes CPS’ $9.5 billion in pension debt. With all three agencies in agreement on CPS bonds’ junk status, borrowing is only going to become more difficult and expensive for the district. And if the district can’t get its finances in order, more teacher layoffs, more school closings and large tax increases on Chicagoans are likely. To avoid that outcome, the district and the city need to make bold reforms that will help stabilize the district’s finances, such as empowering government workers with 401(k)-style retirement plans and ending teacher-pension pickups.